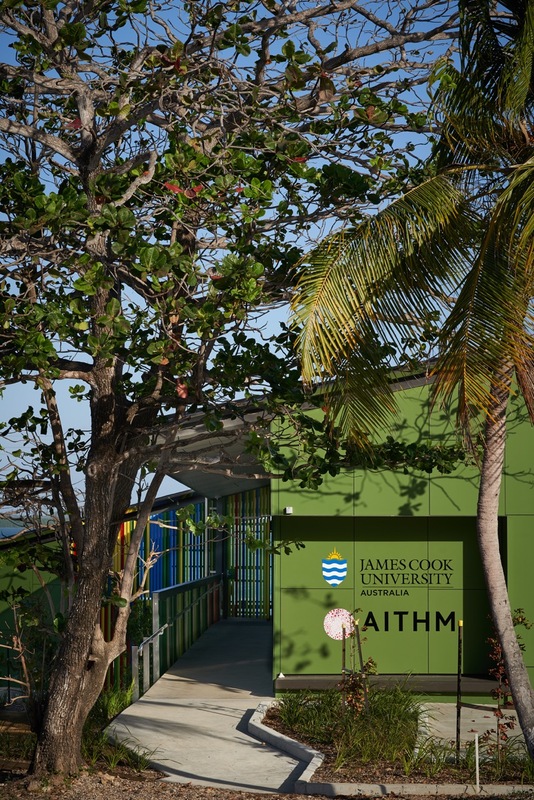 As an academic research facility, the Australian Institute of Tropical Health Medicine will be required to facilitate interface between researchers in the far North, other research facilities including the AITHM Townsville and Cairns as well as the TI community and Queensland Health. 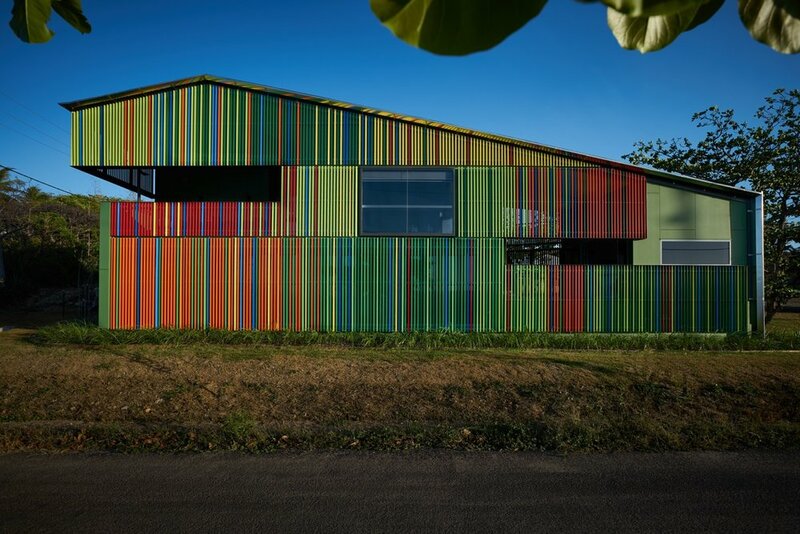 It will operate as the hub for researchers in the Torres Strait and will require strong communication connections with the outside world. The planning strategy leverages the sites context proximate to the intensity of the blue waters and flora of Thursday Island. The sloping site enables the laboratories as well as the short term accommodation to make the most of the projects extraordinary views. While a PC2 standard laboratory is required, it is not anticipated that significant laboratory research will be undertaken in the Thursday Island facility. The architectural expression of the building is a direct response to and expression of a place that is both remote and sometimes extreme. Protection from the natural elements, ongoing maintenance considerations, availability of materials and building trade accessibility all significantly influence the architectural expression of the building.